totally agreed with your thought. I miss those smiles when he was in WGM. Yes! I totally agreed with you. 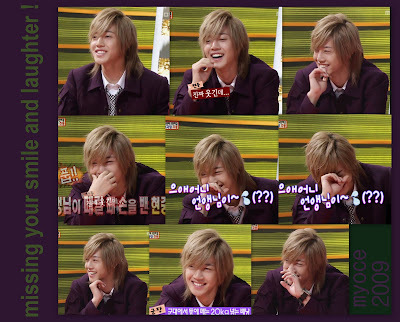 I too missed his smile and those laughter especially in WGM. Hope he can find back his laughter soon. I'm still missing KHJ's smile and laughter...I hope we can see them later. Re-watching WGM...I keep thinking he performed there very sincerely ! I think he was a bit fazed with that HiNi virus thing....must have been like a bolt out of the blue for an active young man. Hopefully he'll be much more happy and energized as his strength and body defense improve.